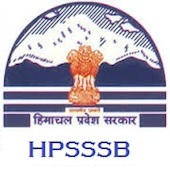 Online Application Details for Himachal Pradesh Subordinate Services Selection Board HPSSSB Recruitment of 3 Driver is given below. Application form and duly attested documents are to be sent to Office of Secretary, Himachal Pradesh Subordinate Services Selection Board, Hamirpur – 177001. In envelope super scribed with 'Application for the Post of Post Name'.